In the late 1990s, there was a distinct rise in interest in the non-profit sector, and in retailing and consumption. Drawing together these two concerns this book provides a comprehensive and international account of the retail charity sector. Charity shops are now significant occupiers of the UK high street, and are becoming familiar sites of consumption in the USA, Australia, Canada and Ireland. 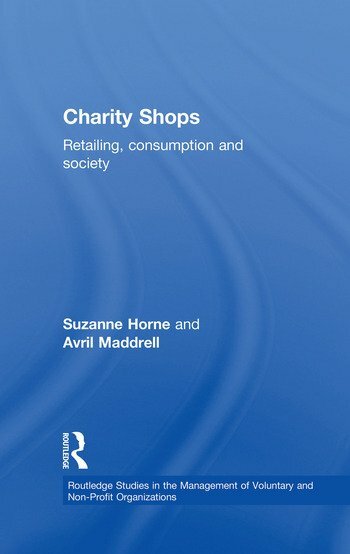 This volume provides the first overview of the history and development of the charity shop, incorporating material from a variety of disciplines, including marketing, retailing, cultural studies and social geography. Presenting recent research from the UK, Europe, Australia and North America, this book fills gap in the literature of the field, and will be of great interest to all practitioners, researchers and students wishing to study the charity shop phenomenon.